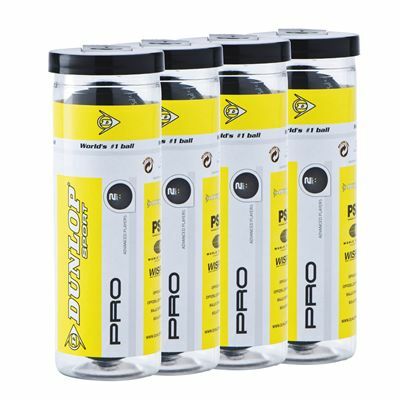 The Dunlop PRO Squash Balls - 1 dozen (4 x3 Ball Tube) are high quality balls that are perfect for professional, tournament and club use. An elastic hydrocarbon polymer is impregnated with 12 compounds resulting in a construction material with supreme playability and durability characteristics. 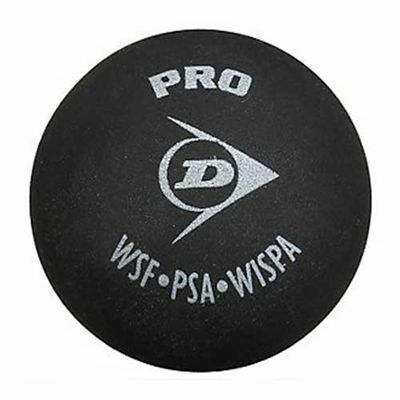 They come in 4 tubes of 3 balls and are the official balls of the World Squash Federation (WSF), Professional Squash Association (PSA), and Women's International Squash Players Association (WISPA) as well as the only balls used in all international professional competitions. for submitting product information about Dunlop PRO Squash Balls - 1 dozen (4 x3 Ball Tube) We aim to answer all questions within 2-3 days. for submitting product information about Dunlop PRO Squash Balls - 1 dozen (4 x3 Ball Tube). We aim to answer all questions within 2-3 days. If you provided your name and email address, we will email you as soon as the answer is published. 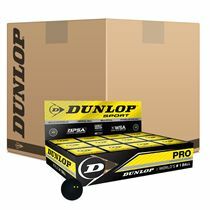 for submitting product review about Dunlop PRO Squash Balls - 1 dozen (4 x3 Ball Tube).